Fur coats are very popular winter items. They have timeless appeal and never go out of style. A rabbit fur coat is not as expensive as other furs and look just as beautiful. They come in an array of different cuts, lengths and colors. The use of rabbit fur is not limited to winter coats. 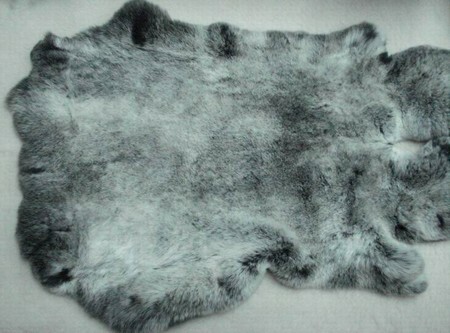 Hats, scarves, blankets and more can be made from this type of fur. Rabbit fur care and maintenance is extremely vital in preserving the beauty and lifespan of the product. Take special care of your durable rabbit fur products when storing, cleaning and using your fur. Here are a few tips to help you maintain and care for your rabbit fur items. The first step in caring for any fur product is storage. Storage is extremely important. Improper storage can damage any fur including rabbit fur. Store your rabbit fur items in a secure location. Store the fur in a place that is not over exposed to excessive heat or light. Both of these elements can fade your fur. Store the fur in a place that it has room to breathe. These items should not be stored in tightly cramped closets. Hang your fur coat on a padded broad-shouldered hanger so indentations are not imprinted in the coat after a period of storage. Don’t store or contain your rabbit fur coat in a garment bag. Fur needs air and circulation. Placing any fur in a garment bag or any other storage option that restricts air flow will dry you fur out and cause damage and shedding. Sharp pins and accessories should not be attached to the rabbit fur to prevent snagging. Protect your fur from water damage. If your coat gets wet from snow or rain shake the moisture out immediately. Put the fur in a well-ventilated area for drying. After the drying is complete shake the fur and smooth with your hand. Don’t allow stains to set in rabbit fur. Remove any stain immediately by blotting the excess off with a clean dry cloth. Don’t not rub or press the stain in the fur. You can apply a few drops of clear shampoo to a wet cloth and gently lift the stain from the fur. Rinse the area with a rag and plain water. Allow the fur to dry completely. keep your fur protected from strong odors like moth products, perfumes, or smoke. These smells may become permanently embedded. Consider professionally storing your fur over the summer months at a furrier. Some are very low cost. Have your fur professionally cleaned annually at a fur cleaner. Make sure the place is a fur cleaner and not regular dry cleaner.